THE CHARACTERISTIC HEAD SECTION INVITES THE USER TO LEAN BACK AND CREATES A SENSE OF SHELTER AND SECLUSION. THE DECORATIVE SEAMS IN THE FABRIC OR LEATHER UPHOLSTERY OF SOME VERSIONS LEND THE ARMCHAIR AN ALMOST ARTISANAL LOOK. Eve Waldron has been specifying and supplying Vitra Furniture and products since 1985. 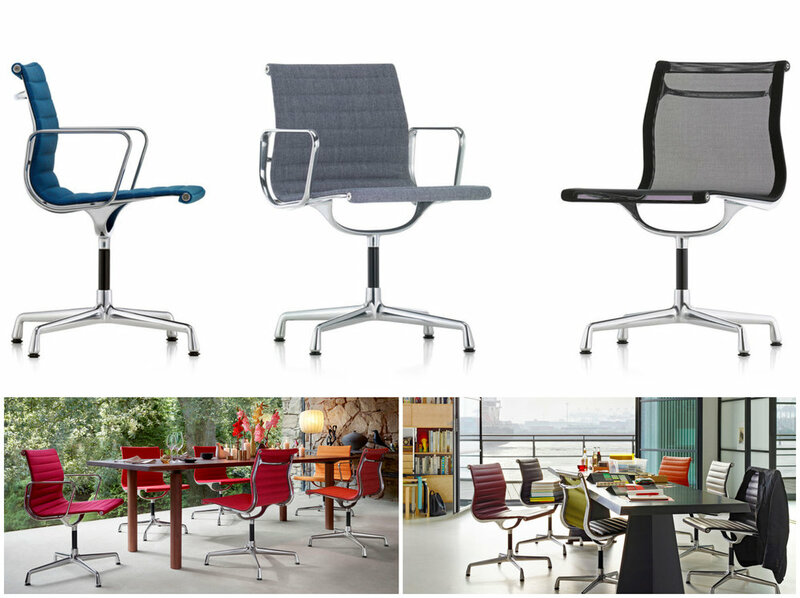 At Eve Waldron Design Ltd we provide access to the entire Vitra range. We can supply, space plan & recommend the most appropriate Vitra pieces to meet your specific requirements. CHARACTERISED BY AN ELEGANT TECHNOLOGICAL AESTHETIC, THE SUITA SOFA FAMILY COMPRISES MANY DIFFERENT COMPONENTS. THESE CAN BE USED AS INDEPENDENT ELEMENTS OR FREELY COMBINED TO ADAPT TO ALL KINDS OF INTERIOR ENVIRONMENTS AND FURNISHING NEEDS. 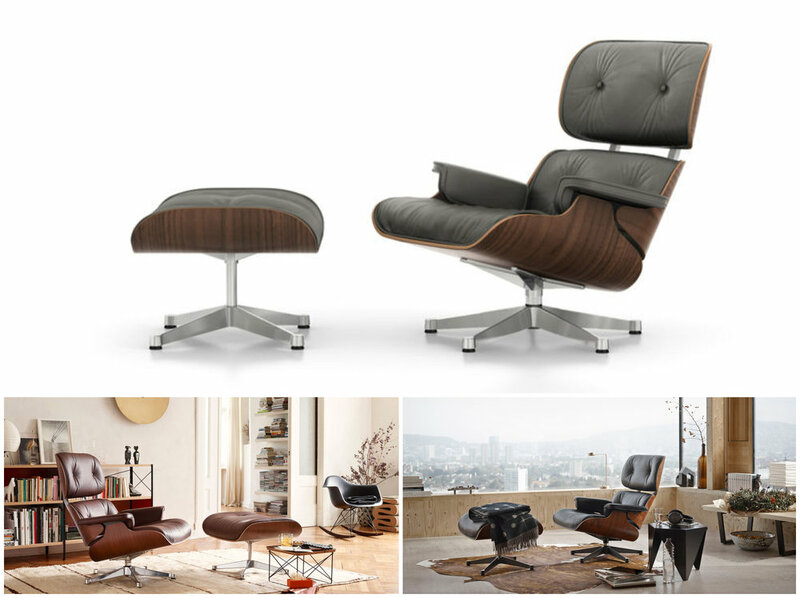 THE SEAT AND BACK CUSHIONS ARE AVAILABLE IN FIRM OR SOFT VERSIONS. THE GEOMETRICALLY PRECISE BODY AND CUSHIONS SEEM TO FLOAT ABOVE THE SLEEK, BRIDGE-LIKE ALUMINIUM LEGS, WHICH CAN BE SEEN AS A TRIBUTE TO MID-CENTURY AMERICAN DESIGN. THANKS TO THE ORGANIC SHAPE OF THE PLYWOOD SHELLS AND THE SLIGHTLY FLEXIBLE BACKRESTS, THESE LIGHT AND COMPACT CHAIRS ARE EXTREMELY COMFORTABLE – ALSO IN THE VERSIONS WITHOUT UPHOLSTERY. 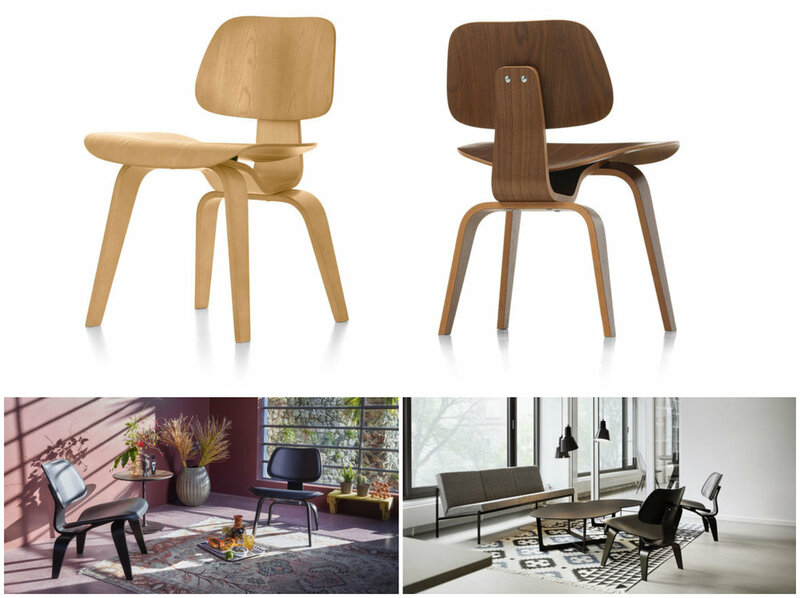 THE DCW (DINING CHAIR WOOD) BEARS WITNESS TO THE ULTIMATE SUCCESS OF CHARLES AND RAY EAMES' EARLY EXPERIMENTS WITH MOULDING PLYWOOD INTO COMPLEX SHAPES. MADE ENTIRELY OF WOOD, THE APPEARANCE OF THIS ICONIC CHAIR REMAINS AS CONTEMPORARY TODAY AS WHEN IT WAS FIRST CONCEIVED. THE BACKREST OF THE ID TRIM OFFICE CHAIR CONVEYS A SENSE OF CLASSIC ELEGANCE AND QUALITY CRAFTSMANSHIP. THE SANDWICH CONSTRUCTION WITH INTEGRATED LUMBAR SUPPORT PROVIDES THE COMFORT OF AN UPHOLSTERED BACKREST WHILE BEING ALMOST AS SLIM AS A MESH BACKREST. IT ADAPTS TO THE CONTOURS OF THE SITTER'S BODY AND DISTRIBUTES VARYING DEGREES OF FLEXIBILITY AND SUPPORT TO THE CORRECT ZONES. THE ALUMINIUM CHAIR IS ONE OF THE GREAT FURNITURE DESIGNS OF THE TWENTIETH CENTURY. CHARLES AND RAY EAMES CONCEIVED AND DEVELOPED THIS CHAIR IN 1958 FOR THE PRIVATE RESIDENCE OF AN ART COLLECTOR IN COLUMBUS, INDIANA (USA). THE ALLSTAR OFFICE CHAIR BY KONSTANTIN GRCIC SATISFIES ALL THE NECESSARY FUNCTIONS OF A TASK CHAIR, ALLOWING IT TO BE USED WHEREVER HIGH FUNCTIONAL PERFORMANCE IS DESIRED BUT A CLASSIC OFFICE CHAIR WOULD NOT BE APPROPRIATE FOR AESTHETIC REASONS – AN ESPECIALLY IDEAL CHOICE FOR MODERN WORKPLACE CONCEPTS.